Since the early days of Homesteading on the American frontier, building has been in the Sargent Family's blood. After farming for several years in Nebraska, the trials of the Dust Bowl of the 1930s forced Glenn and Grace Sargent to move their family to Missouri in 1941. Glenn worked on building the barracks at Fort Leonard Wood and then later opened a woodworking shop. He passed the value of working with his hands onto his son, Don. In addition to his skills in construction, Don loved classic cars. 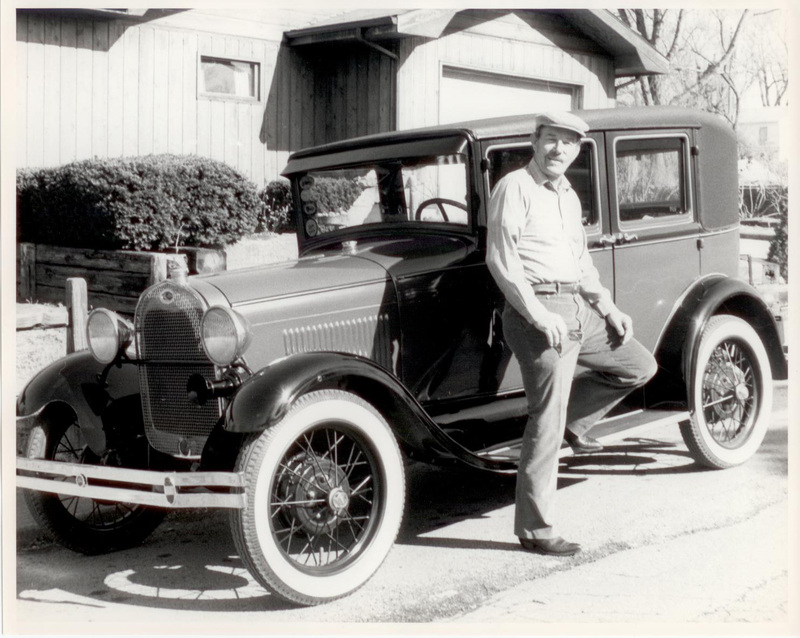 Here he is with the car he entered into the Great American Race, a cross-country competition. After serving four years in the US Air Force, Don studied Civil Engineering at the University of Missouri Rolla (now known as University of Missouri Science and Technology). 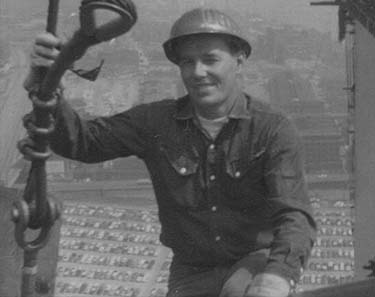 An iron worker by trade, Don gained experience working on large projects like the St. Louis Arch, Pea Ridge Mine, and Tom Sauk reservoir. Although the experience was invaluable, the frequent travel, sometimes as far away as Alaska, and lack of a central employer to be loyal towards left Don wanting more. He began to look into branching out into his own business. 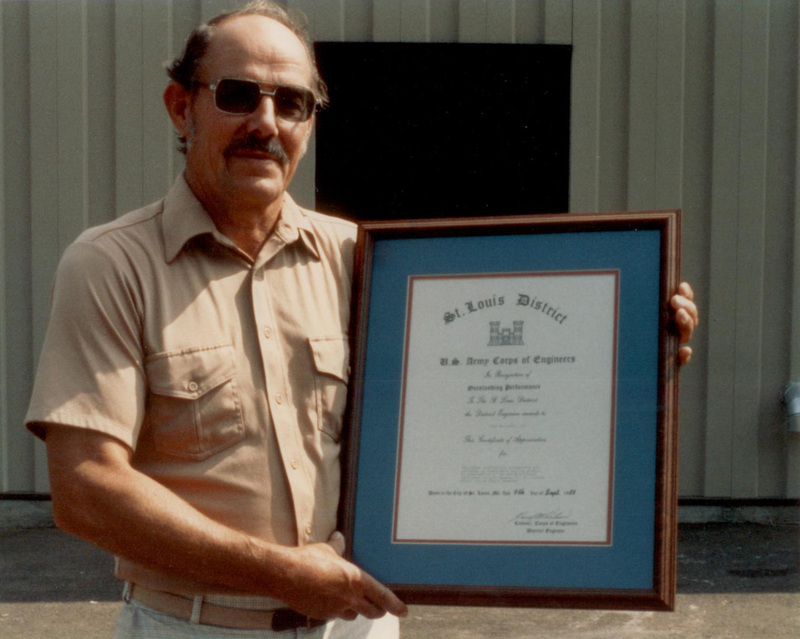 Armed with a lot of skill, dedication, and a new 21’ Allis Chalmers forklift, he founded Sargent Construction Company in 1973 by starting a franchise with Star Building Systems. Despite a tough economy in the early ‘70s, Don had the foresight to see that pre-engineered metal buildings were a quicker and more affordable yet still reliable alternative to other styles of buildings. Understanding the needs of the Southeast Missouri community, Don saw that these metal buildings were just what local businesses were looking for, so he took to the streets to network and find businesses in need of construction. Don worked on all the early buildings himself, gaining a strong reputation as a skilled, tough, hands-on worker who got the job done but wasn’t too serious to tell jokes or orchestrate a prank or two. Well-liked in the community and by his employees, Don developed a culture of hard work, trustworthiness, and a vision of a bright future that still persists to this day at Sargent Construction. In the early days of the company, Don’s wife, Barbara, wore all the hats of the office side of the business. A homemaker for most of her adult life, Barbara stepped outside her comfort zone to help support Don in his dream of running a construction business. In the early days, the business ran out of the basement of the family home, so the Sargent children got an early taste of all sides of the construction world. All three ended up inheriting the builder gene—son Barry is an engineer and involved in real estate, son Bob works for the company as a sales assistant and office worker, and daughter, Renee, is a civil engineer and company president. Holiday Insurance was the first job completed by Sargent. The whole building cost $2,000—a pretty unbelievable number by today’s standards. But the affordability and quality of the work soon began to get around and the company started to grow. Sargent entered a fruitful partnership with Casey’s General Store that yielded 24 convenience stores over the course of 7 years between ‘78 and ‘85. The impressively efficient crew was eventually able to turnaround a whole store in just 30 days. Due to the rural location of many customers, Sargent began a design-build work process before the term “design-build” even existed. Many customers had a set budget and the region didn’t always afford access to an array of architects or independent designers, so Sargent stepped in to fill that need. They were able to offer services and guidance from the start to finish of a building project, and the quality of the work couldn’t be argued with. Sargent’s business began to boom in the early ‘80s along with the recovery of the economy. The business expanded outside of Missouri through government contract jobs in states like Texas, Louisiana, and Kentucky, while still keeping plenty of work going close to home in Fredericktown. Sargent’s reputation continued to grow as an excellent general contractor who specialized in pre-engineered metal buildings. 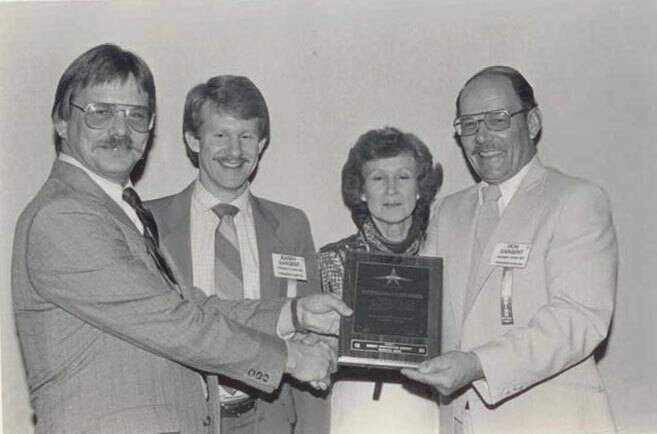 Don, Barbara, and Barry Sargent are presented with the Outstanding Builder Award from Star Building Systems in 1986. While the 80s brought much success to the business, they also dealt a terrible blow in April of 1987 when Don Sargent was tragically killed in an automobile accident. Even through the shock and grief, there was never any question if the company should continue. The work ethic and reputation established by Don rallied everyone around continuing his work. His daughter, Renee, moved back home from St. Louis, where she was working as a civil engineer, and took over as company president. From the beginning, Sargent Construction has aimed to be more than just a job for its employees. Leading by Don’s example, the culture of Sargent continues to be more like a family. Sargent believes that loyalty and respect are earned, hard work should be rewarded, and the best investment a business can make is in its people. This company philosophy has lead to low turnover, increased production, and a truly dedicated workforce for the last several decades. Sargent can count on its people because its people know they can count on Sargent. As the Gilster Mary Lee Corporation, a private-label food manufacturer based in Chester, Illinois, expanded into Missouri, they sought out contractors for their new facilities and entered a rewarding partnership with Sargent. The company moved from working on buildings with an average of around 10,000–15,000 square feet to a 250,000 square foot food distribution center for Gilster Mary Lee. Booming economic growth and the high-performing stock market in the 1990s led to large growth in Fredericktown, the surrounding areas, and all across the country. New businesses were founded, existing companies expanded, and more people moved to the region to take part in the new developments. Growth in the manufacturing and commercial fields created many new jobs and a need for new construction. Sargent entered its own boom period in the decade and partnered with many area businesses to help them meet their growing needs. With the population increase, a larger customer base formed in the region. In addition to the new businesses, existing businesses moved to more visible and high-profile commercial properties for the convenience of customers. New construction was a common sight around many area towns. Throughout the decade, Sargent built 8 new stores for Town and Country Supermarkets. Other commercial projects of the time included Busenbark Carpet, Auto Plaza Chrysler Jeep, and Surdyke Harley Davidson. Many manufacturing companies found the Southeast Missouri region to be a great place to expand in the 90s. Sargent worked with companies such as Little Tykes Commercial Playground Systems, US Tool Group, Cap America, Purcell Tire, and more. Area industrial parks called on Sargent to build speculation buildings, or buildings that are meant to attract businesses, in Perryville, Farmington, and Fredericktown. Sargent was proud that local cities trusted their work to be a draw for businesses to relocate. The widespread destruction from the flood kept crews from arriving for two months, and the only way into the site was by boat for a time. Image courtesy of Fred Lynch, Southeast Missourian. 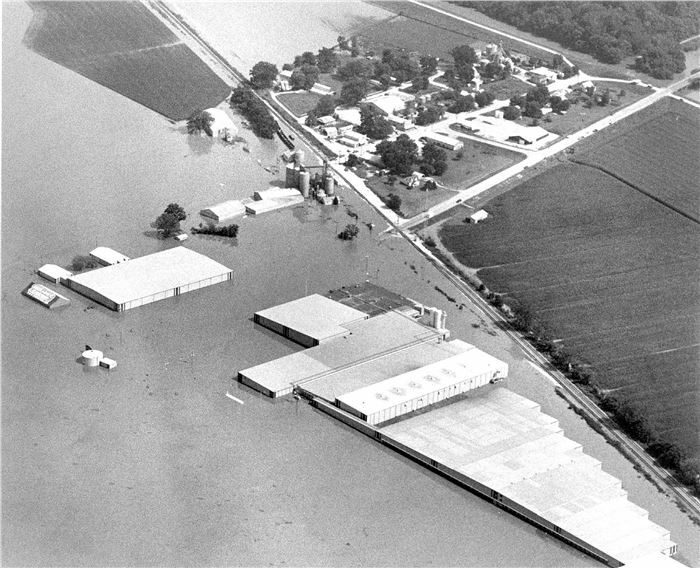 When the levee broke during the Great Flood of 1993, over 17 feet of Mississippi River water swept into Gilster Mary Lee’s McBride facility. The devastation to the plant and distribution center was total, and Gilster was in need of immediate help—every day the facility was out of commission was costly. Sargent joined the recovery effort and was able to rebuild the McBride plant in less than six months. Sargent showed its strength as a design-build contractor with a pair of electric cooperative facilities. In 2000, Sargent built the beautiful 70,000+ square foot corporate headquarters for Black River Electric Cooperative in Fredericktown, Missouri. Sargent was especially proud of being able to provide a smooth design-build contract process for the Black River Electric board of directors and avoid some of the typical "headaches" involved in a large building project. Seeing a customer enjoying their new building and finding "it's just what we needed" is one of the best rewards for Sargent employees. 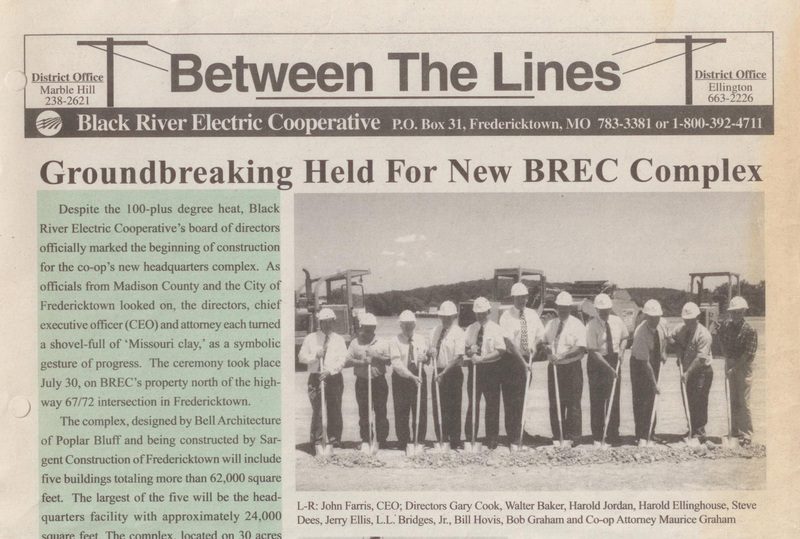 In 2003, the M&A Electric Cooperative needed multiple new buildings and upgrades made to their existing facility. Sargent again used a design-build team to complete the large job under budget and ahead of schedule. Unfortunately, part of running a construction business also includes repairs for buildings when Mother Nature strikes. Southeast Missouri and Southern Illinois experienced widespread damage in 2009 from a "Super Derecho," which is a storm that produces high-speed winds sustained over a long period of time. Fredericktown experienced 70-90 mph winds for over 45 minutes during the storm, gaining the local nickname of "inland hurricane." Sargent deployed crews and repaired many damaged roofs and buildings in the area. Impressively, none of the local Sargent-built Star Building Systems failed during the storms. While Southeast Missouri wasn't hit as hard by the recession as other parts of the country, the economy overall experienced a slow down running up to the 2010s. However, as the decade has proceeded, an increase in new business and the return of repeat customers has kept Sargent busy and working hard as ever. Sargent lent a helping hand to the Joplin, Missouri, Gilster Mary Lee plant after the devastating F5 tornado hit in May 2011. New materials were on site within two weeks to begin the repairs and the warehouse was functioning again in six weeks. A tornado struck a Gilster Mary Lee facility again in 2012, this time their popcorn storage facility in Southwestern Illinois. Sargent helped them not only repair damaged structures but also redesigned parts of the facility that were originally built in the 1940s. The project included 30,000 square feet of retrofit standing seam roofing plus a 10,000 square foot warehouse replacement. Star recognized the project in 2013 by awarding Sargent the Master Builder Award in the Retrofit category. Softball-sized hail pummeled the Farmington, Missouri, region in April of 2015. The enormous hail put holes through metal roofs and was by far the worst hail destruction the company has seen in all its years in business. The resulting roof damage kept Sargent busy for the next two years with repairs to keep businesses safe and dry. In July 2012, the Country Mart supermarket in Potosi, Missouri, suffered a complete building loss due to a fire from a faulty light fixture. Sargent worked with both the owners of the store, Town and Country Supermarkets, and insurance companies to assess the damage after the fire and make subsequent insurance claims. Sargent crews demolished the remaining damaged structure, and worked with Town and Country to redesign and build a new, first-class facility. The new 30,000 square foot store reopened in August 2013 with a ribbon-cutting ceremony. The ribbon-cutting ceremony in August 2013 that marked the reopening of the store after rebuilding. From 2008 to 2015, Sargent worked with M&A Electric Cooperative to upgrade 54 substations throughout Southeast Missouri. Upgrades included installation of fiber optics, which allowed for central remote management of each substation. Cap America invested in Fredericktown by expanding to a 30,000 square foot facility for their knitting division in 2015 and Sargent won the contract. The facility houses machinery that knits fibers for various hats and head wear. The Sargent team was proud to build the manufacturing plant that would give back to the local economy. Sargent continued to work with Gilster Mary Lee on improvements and expansions to plants across Missouri, Illinois, and Arkansas. Another fruitful partnership was forged with Filtration Systems Products, who had projects in 2010, 2014, and 2017. Improvements were made to the Purcell Tire retreading plant, with more design projects coming down the pike. The company has also won contracts to build Dollar General stores all around the Southeast Missouri area. 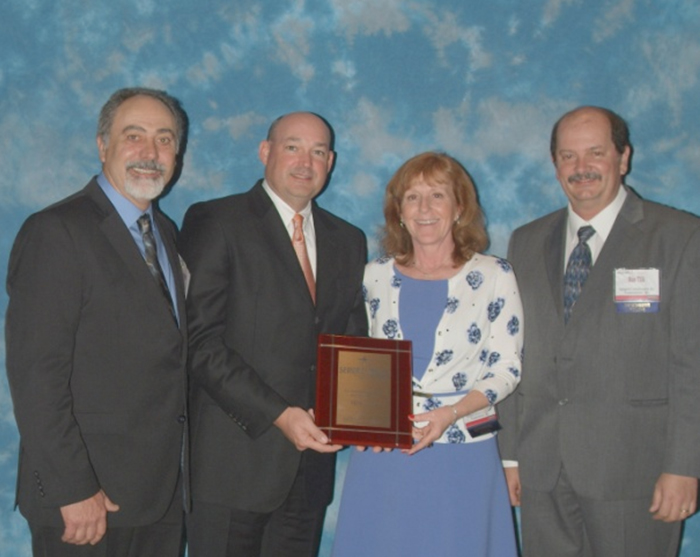 In 2014, Sargent was given special recognition by Star Building Systems for 40 years as a Star Builder at their national meeting in San Diego, California. While the company expanded its services over the years to include many types of projects other than Star metal buildings, the award was a special honor towards Sargent's roots. The strength of Sargent as a company comes from its people, and the company has been fortunate to maintain long-term relationships with many employees. In 2017, VP of Field Operations, Wilbur Leach, celebrated 40 years with the company. Wilbur started with the company while still a teen and has worked his way up to the vice president level. VP of Operations, Dan Tilk, is also nearing the 40 year mark of service to Sargent. In recognition of their skills, dedication, and service, Wilbur and Dan became partial owners in the company in 2015. Gary Harrison officially joined the Sargent family in 1988 when he and Renee Sargent married. Gary serves on the board of directors with Renee, is the corporation secretary, and a general advisor. He’s also the resident consultant on all things fishing since he’s a semi-professional fisherman. In 2011, the Sargent family lost an important and loved figure in Barbara Sargent. Well-respected and cherished by all who knew her, Barbara was a warm and caring person who always had time to talk to employees and customers about their days and their families. Her strength was a foundation for those around her during tough times, like when son Bob had a car accident in 1985 and when Don passed in 1987. After raising three children, Barbara had a keen eye for potential monkey business—which everyone knew she wouldn’t put up with, so she effectively stopped most trouble before it even began. When crews worked at her home, she always treated them to iced tea, lemonade, and cookies. Barbara may have been small in stature, but she was giant in heart and is very much missed. As Sargent heads towards fifty years of business, the future is a bright one. Sargent’s commitment to the values pioneered by Don Sargent—quality, honesty, and bringing opportunity to rural businesses and beyond through superior construction—is as strong as ever. 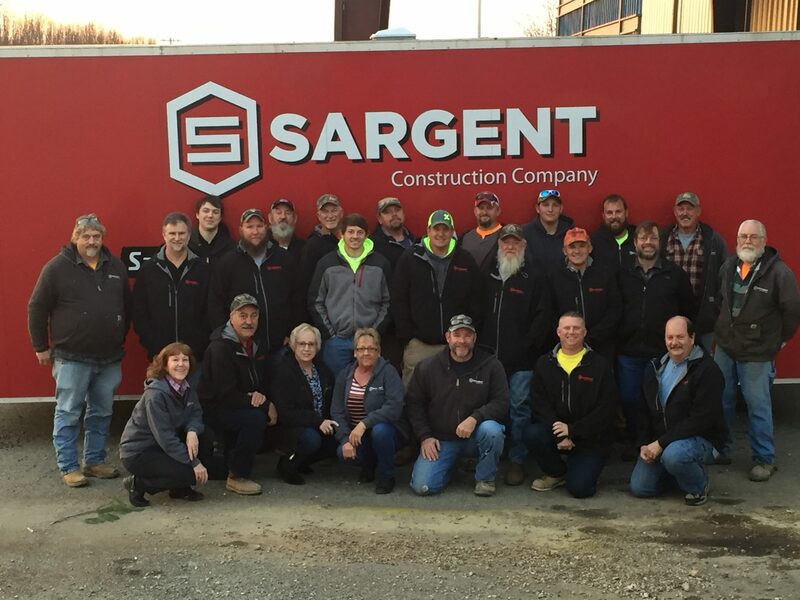 With a long list of valued repeat customers, Sargent truly enjoys watching those customers grow, sometimes even beyond the Southeast Missouri region. The Sargent team is excited to keep helping their customers expand their businesses and work with them to design facilities at home and all across the country. Everyone at Sargent is eager to continue working with their customers to understand their needs and then crafting the best building solution to fit those needs. This includes bringing more design services in house. Sargent prides itself on understanding everything a project requires up front so there aren’t surprises later on down the road. The goal of every job is ensuring that at the end of a project, the customer can walk through the building and find that it hits all of their workflow needs. The company will continue investing in the futures of their employees and will enjoy watching them grow and develop both professionally and personally for the years to come.